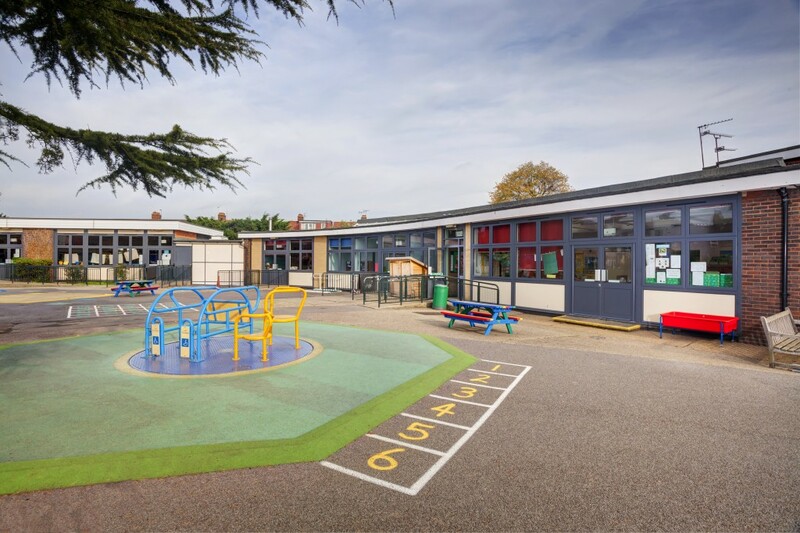 This project incorporated a reconfiguration of the entrance to improve staff visibility and provide parents with a space to wait externally, new classrooms and as a new SEN (Special Educational Needs) facility. 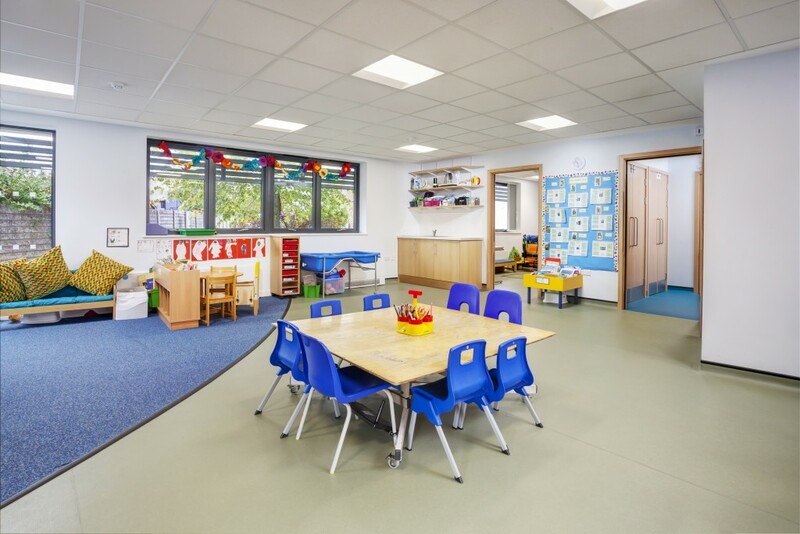 The new SEN spaces included a Hygeine Room, SEN Classroom, Therapy Room, Teaching & Learning Space, Office and Meeting room. Light is brought in to the deeper parts of the plan through the use of roof lights. These were located in the classrooms and at intervals along the corridor. 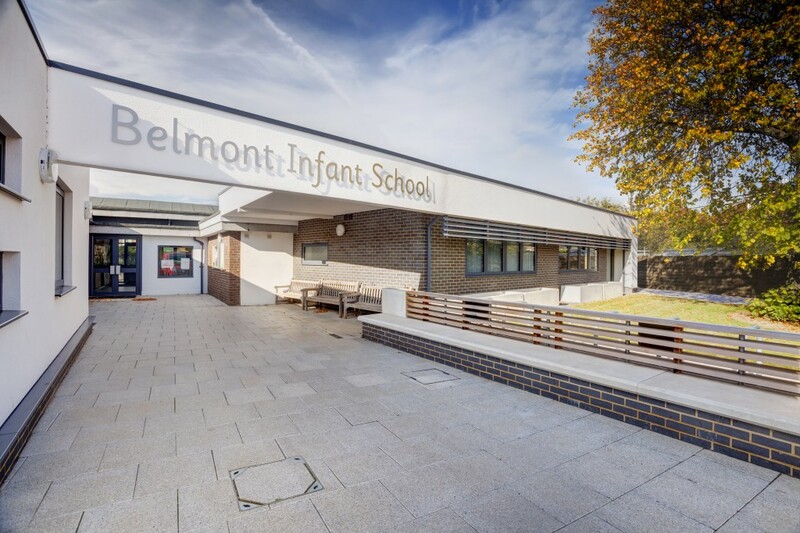 The external canopy provides an integrated approach to seating and planting realising a unified and cohesive look The canopy also acts as feature which ties the notionally separate services block and classroom block together. This is done by using architectural fins along the fascia of the canopy. 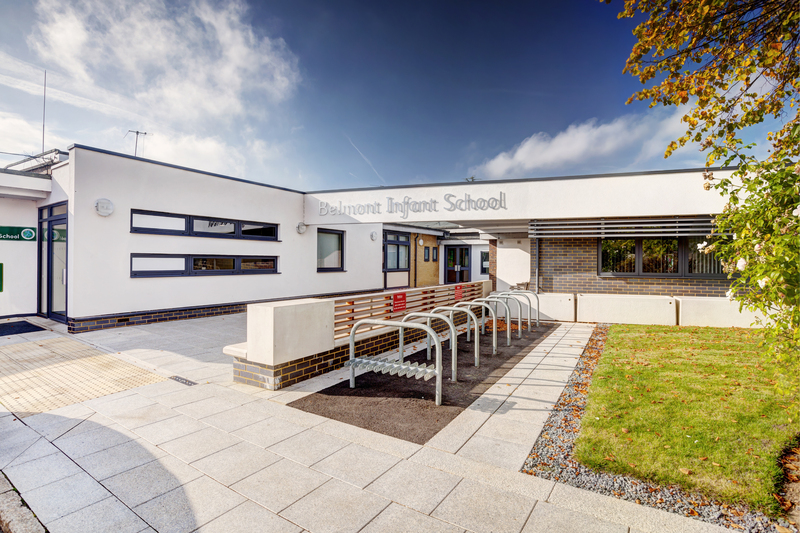 The new block has been kept to single storey height and has a direct interface with the existing school building. The building is kept low to minimise its impact on the views of neighbouring residents.